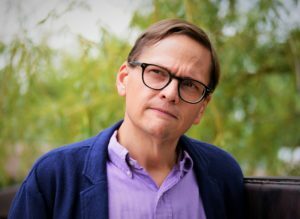 Michael W. Harris is a librarian, archivist, and musicologist, whose research looks at archival history and theory, along with film and popular music. He currently works as assistant professor, research and instructional services librarian, at the University of Memphis in Tennessee. He holds a Ph.D. in musicology from the University of Colorado Boulder, and an MS in Library and Information Science with a concentration in archives management from Simmons College. He also holds degrees in bassoon performance from Truman State University and the University of Missouri at Kansas City. Prior to his current position he worked as an instruction librarian at both the College of William and Mary, and in CU-Boulder’s Special Collections and Archives department. He has also taught courses at Metropolitan State University of Denver and CU-Boulder on American music, the American film musical, and music appreciation. Harris’ musicological research focuses on the music and film scores of Japanese composer Fumio Hayasaka, though he has also written and presented on the music of Jerry Goldsmith, Yoko Kanno, and James Horner among others. His articles, essays, and reviews have appeared in Cinema Journal, Asian Music, the Journal of the Society for American Music, Middle West Review, and Flow, and he has presented papers at Music and the Moving Image, the annual meetings of the Society of Cinema and Media Studies and the Society for American Music, and at numerous regional conferences around the United States.